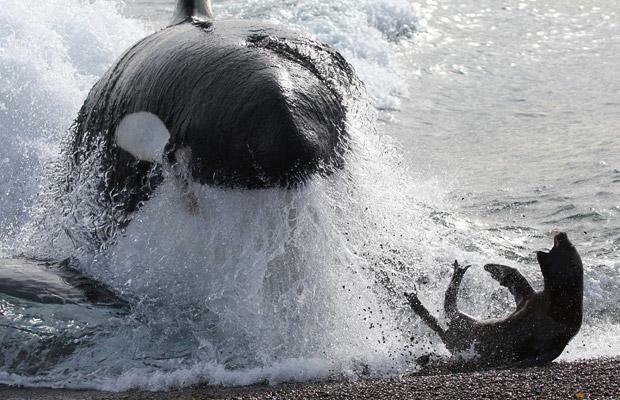 A lucky escape from this mean old Killer Whale! Clearly the Orca fucked up its run and the seal pup got a away. We are reliably informed the seal grew to a ripe old age of 17 years old*. * This statement is potentially inaccurate. Check out this story of how a Killer whale caught a psuedo orca!